We invite you to explore Tracy, one of the friendliest little cities in California. Tracy is a place to kick off your shoes, hang your hat, sit back and relax. Whether you live in the area or are planning a visit, Tracy is a destination waiting to be discovered. Enjoy your time in Tracy! 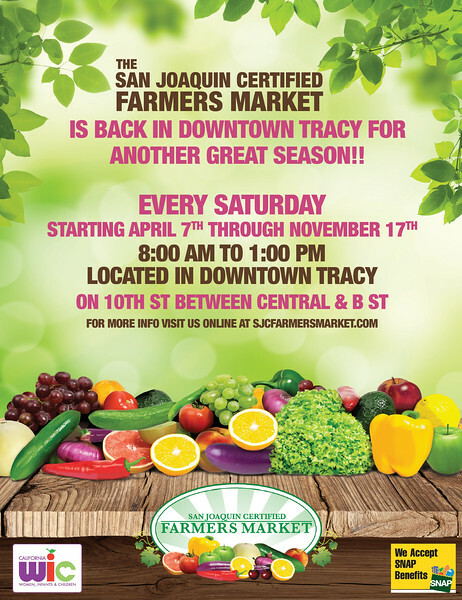 Tracy is a community where neighbors and local merchants greet you by name and the welcoming never stops. We have arts and recreation options for individuals and families of all ages. The opportunity to live a balanced life still exists here, and family, faith, education and the arts are still valued. We are a growing, evolving, vibrant community with new and expanding possibilities around every corner. Tracy offers a vibrant arts and entertainment scene. The City of Tracy hosts numerous festivals and community events throughout the year, as well as live theater, art shows and music concerts. We are an enthusiastic supporter of arts. From Tracy it is an easy drive to recreation hot-spots like the Bay Delta, Yosemite, Tahoe and the San Francisco Bay. Whether you’re visiting Tracy for our exciting attractions or events, or are here on business, you’ll find a wide selection of clean, comfortable hotels with modern conveniences and helpful staff. Some of our local lodging options include the Best Western Luxury Inn, Fairfield Inn, Microtel Inn & Suites, the Hampton Inn and the Holiday Inn Express Hotel & Suites. Downtown Tracy is attractive and vibrant, home to countless shops, restaurants and stores it combines historic charm with contemporary interest. In Tracy we believe our thriving downtown area is the heart of the city; it creates a center of activity for residents, businesses and visitors alike. Visitors shouldn’t miss this historical and architectural landmark! The Grand Theatre Center for the Arts provides arts and entertainment programming for families, adults and children. There are performances and exhibits of both fine and popular arts, musical concerts, theatre and dance performances, festivals, films, and lectures. It contains a 37,000 square foot visual and performing arts center, 560 seat proscenium theatre, 110 seat studio theatre, dance studio, music studios, complete ceramics studio and children’s art space. It also contains meeting rooms and event hosting facilities suitable for any occasion.